One of the more unusual railroad operations in the United States was that of the Utah Railway. Operating a number of mines around the Helper, Utah area, it then relied upon trackage rights on the Denver & Rio Grande Western to Thistle, Utah. From there it owned one track to Provo, Utah, which together with a track owned by the D&RGW was operated as a double-track railroad. 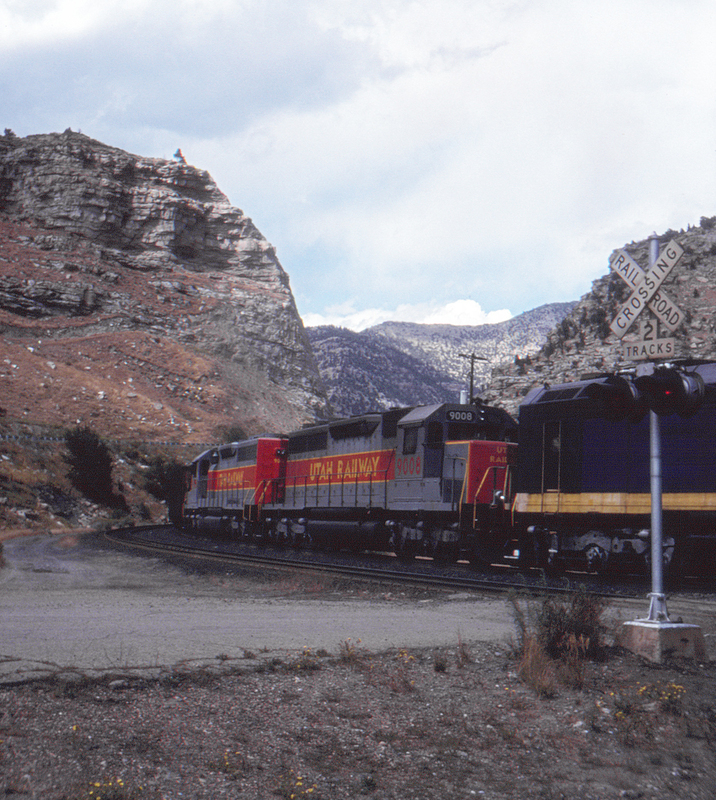 Here a northbound Utah Railway train on D&RGW rails is passing Castle Rock near Helper.